The accommodations and public areas were superb, the service second to none and the food was outstanding. Different food and wine taste sensations beautifully presented and served. Built locally with a custom draft to adroitly explore shallow waters, the four-deck ship is a nautical homage to the Burmese landscape, echoing the lines of temples. Elegantly dancing her way along the Ayeyarwady River, Strand explores thousands of years of culture and riveting scenic beauty while offering sophisticated elegance on board. From ship to shore, The Strand experience best showcases this magical country. 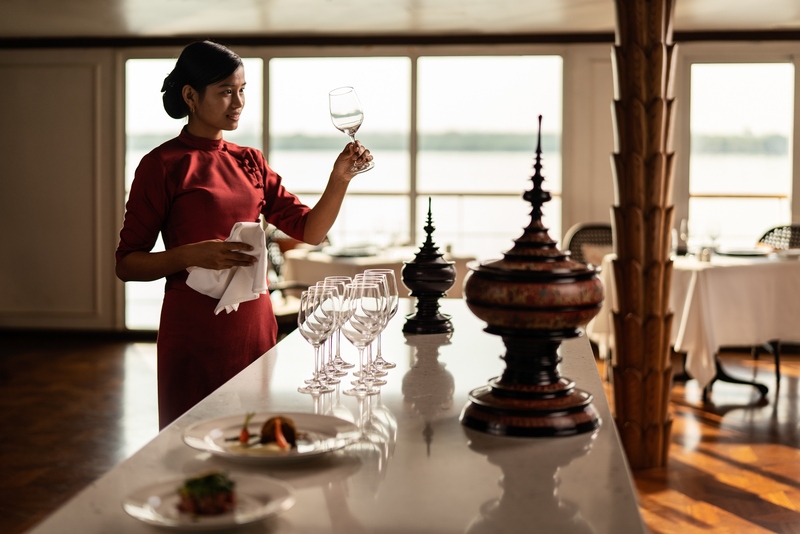 There is no better way to complement the beauty that is the Ayeyarwady River than by dining in our signature restaurant. 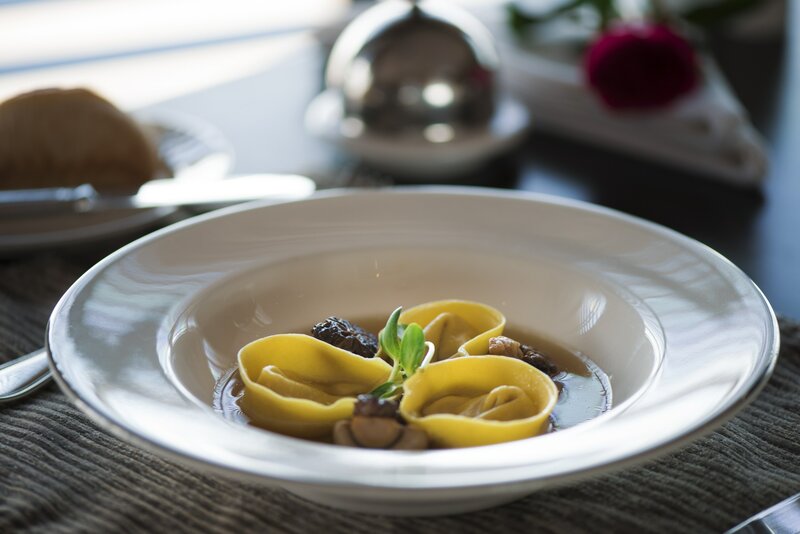 Our chefs have come up with a perfect blend of tastes from around the world, from Europe to Thailand and many traditional Burmese dishes. 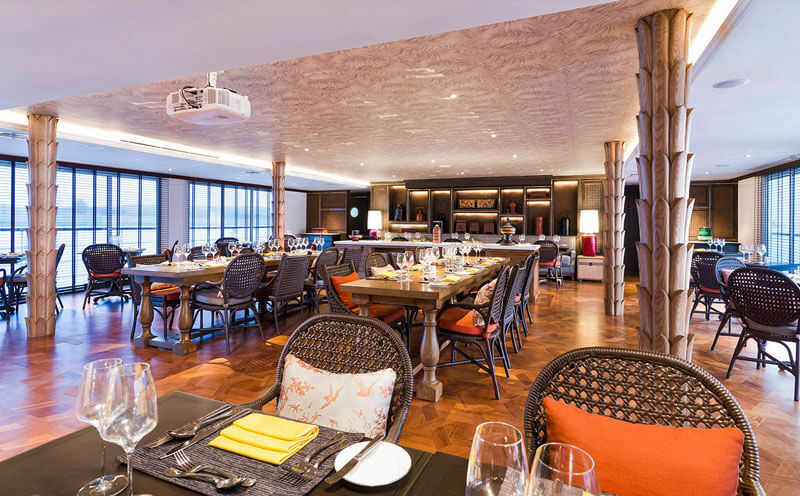 A panoramic view and sumptuous dishes await each guest with a gusto for food. 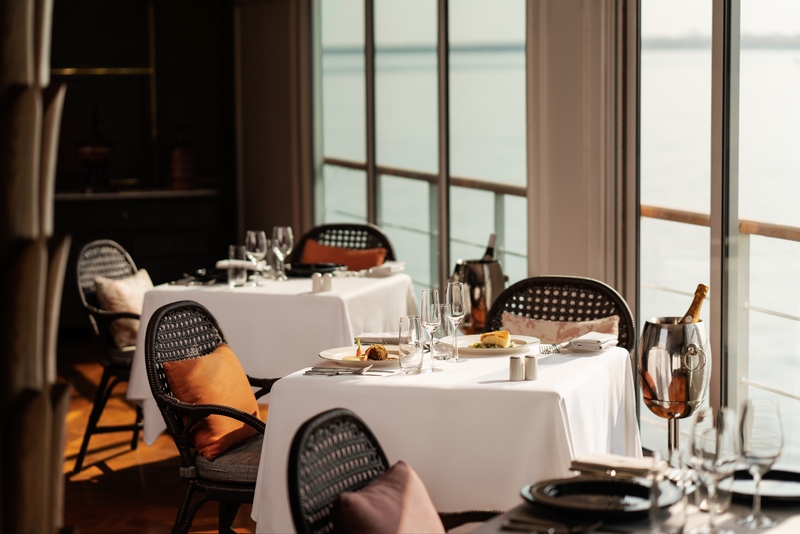 The Strand Restaurant is open for lunch and dinner every day, with lunch taken here if weather does not permit dining al fresco on the sundeck.